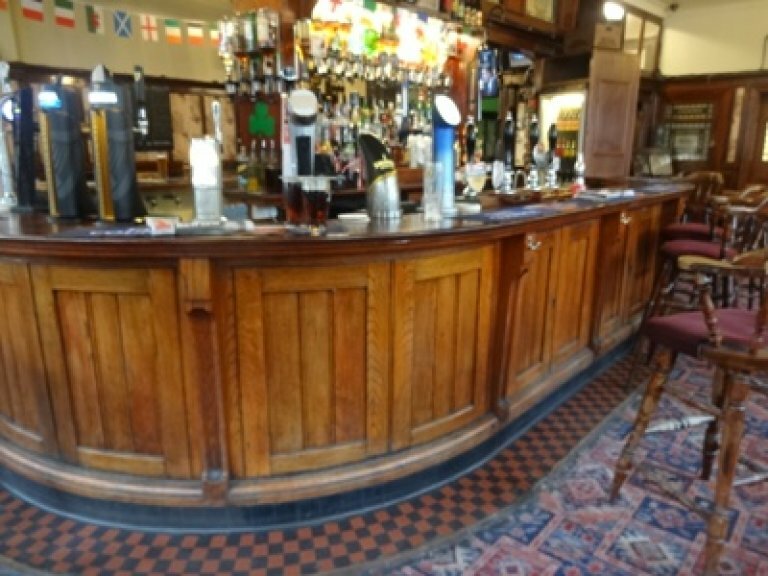 Like the Victoria, this is neither one of London’s Real Heritage Pubs nor is it a listed building but it is a fine inter-war former Trumans pub retaining many typical Truman features including mirrors, bar counter, red and black chequered bar foot (rather than the more usual black and white), and rippled and stained glass in the windows. Note also the remnants of a glazed-in office and the ladies’ loos which still retain their original window, door locks and cream and green tiles. The resident black cat is very sweet. 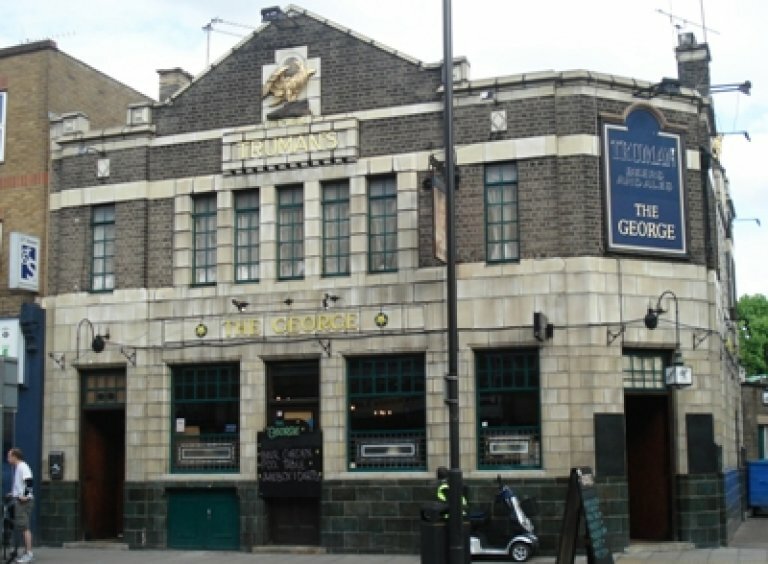 The George featured on the Knocked 'Em in the Old Kent Road: Evening Crawl of Bermondsey in December 2010.